Carly Watts Art & Illustration: This Charming Flan & Madame Gourmand! Here are some of my very latest commissions that I have been working on for two really nice ladies, Daniella and Lauren. I'm so happy that they decided to get in touch because I absolutely loved creating these! 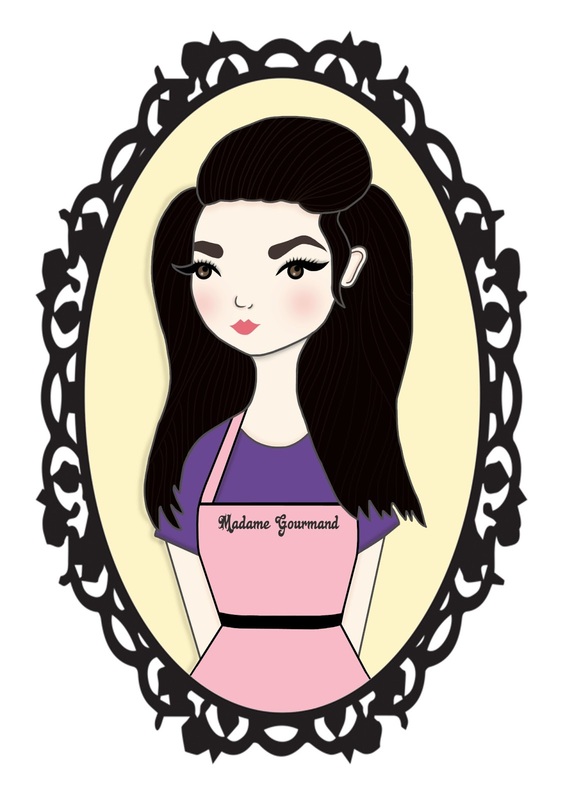 Firstly is the illustration I designed for Daniella aka Madame Gourmand! Daniella blogs about a wide variety of subjects and currently has a lifestyle blog, and a cooking/food blog, which is why I put her in a cookery apron! I had a blast designing this, and Daniella was really lovely during the process. I urge you all to go and follow her on her facebook page here! This is the banner I created for the really lovely Lauren! What can I say about Lauren? She is just the sweetest! Lauren also has another blog called 'a lauren to herself' where she blogs about fashion, beauty, and just her life in general! This banner is for her brand new bakery blog and I just love the name she chose - genius! Lauren was absolutely delightful to work with, so please go and follow both of her blogs! Aww Carly, you are such a sweetheart! Thanks so much. Your work is brilliant, definitely recommending you to everyone I know. I'm such a huge fan of your work, so glad I've discovered you so I can keep popping back to see what's next! You did a lovely job, your work is always so fresh; love it!